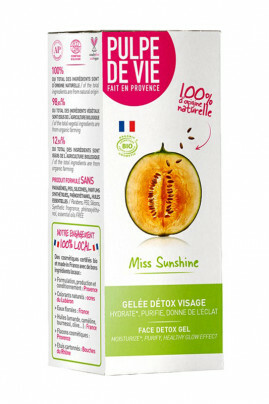 Pulpe de Vie Organic Fruity Detox Gel for face moisturizes, purifies and makes you a radiant skin ! Rich in antioxydants and vitamin C thanks to water melon and sea-buckthorn pulp extract. 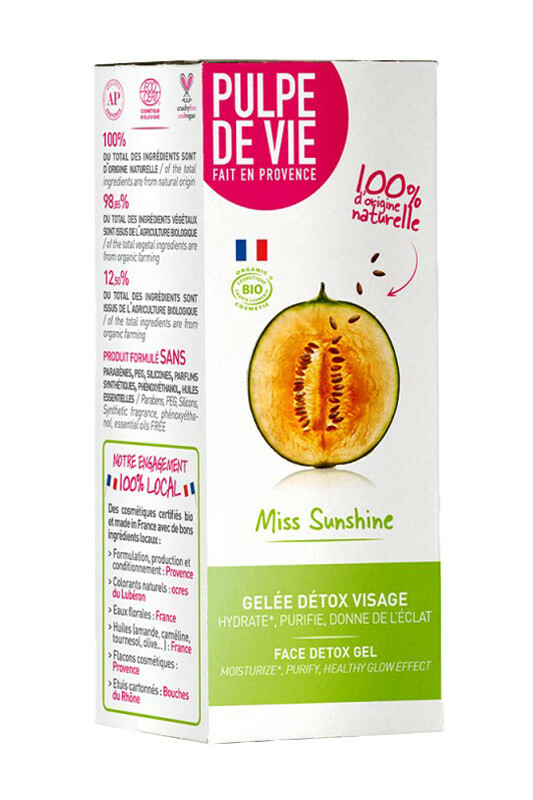 With Pulpe de Vie Miss Sunshine Hydrating Gel, it gives you a real refreshing feeling ! Try this surprising Facial Fruity Hydrating Gel of Pulpe de Vie ! 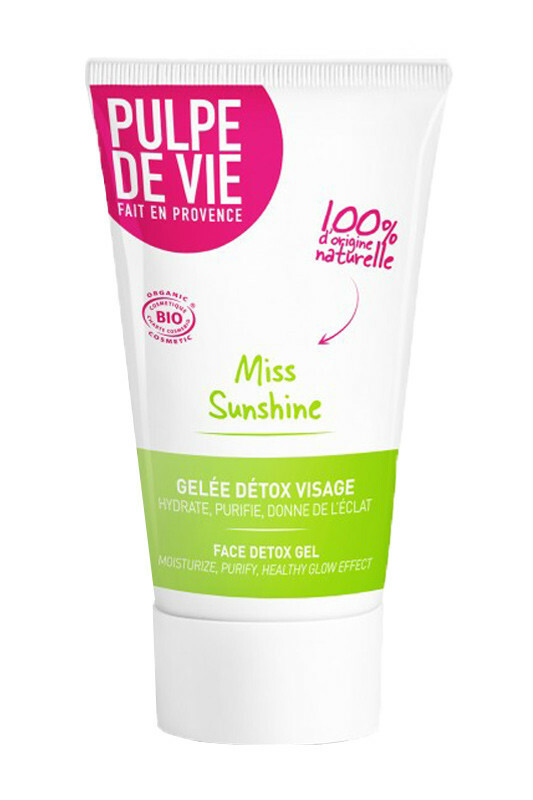 Apply Pulpe de Vie Organic Purifying Detox Gel morning and/or evening to the entire face avoiding eye area. Miss Sunshine Fruity Detox Gel is 100% natural !